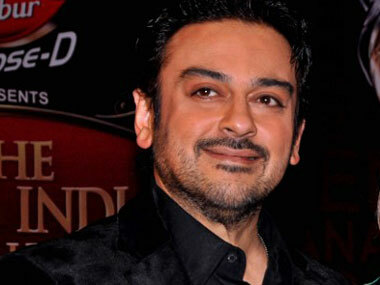 Pakistani singer Adnan Sami has been granted Indian citizenship with effect from 1st January following his request to the Centre to legalise his status in the country on humanitarian grounds. Minister of State for Home, Kiren Rijiju handed him over documents of citizenship in New Delhi. Officials in the Union Home Ministry said Sami will be an Indian citizen with effect from Friday. The 46-year-old singer, who has made India his second home for the past few years, had made a representation to the Home Ministry on 26th May this year requesting his stay in India on humanitarian grounds. Lahore-born Sami had first arrived in India on 13th March 2001 on a visitor's visa with the validity of one year which was issued by the Indian High Commission in Islamabad. His visa was extended from time to time. His Pakistani passport issued on May 27, 2010 expired on May 26, 2015 and his passport was not renewed by the Pakistan government which led him to approach the Indian government with the request to legalise his stay in India on humanitarian grounds.